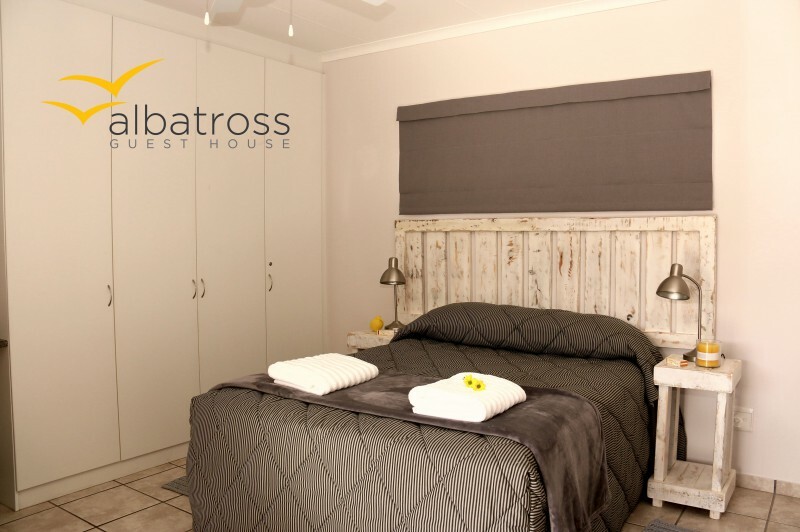 Situated in the scenic town of Langebaan, Albatross Guest House offers comfortable accommodation to guests visiting this coastal part of the Western Cape. 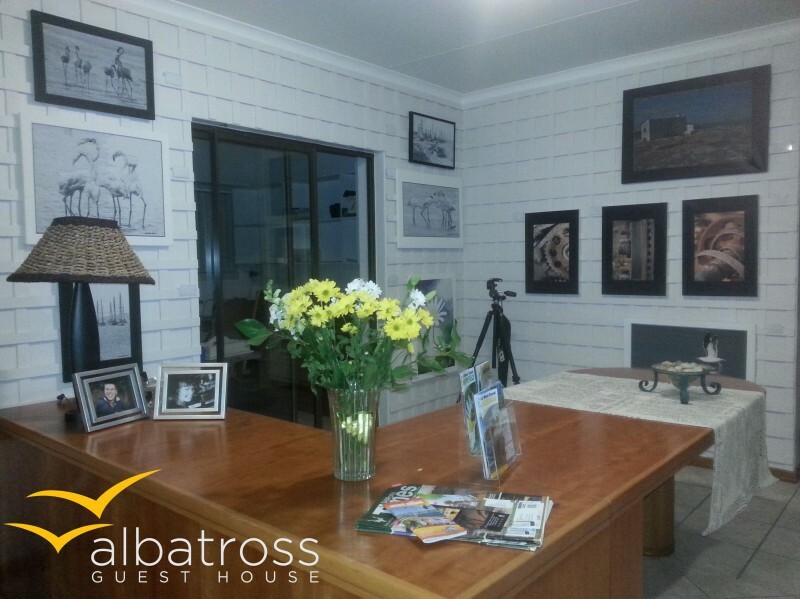 Albatross Guest House is conveniently located in the centre of this charming town and is within walking distance to this area’s attractions. 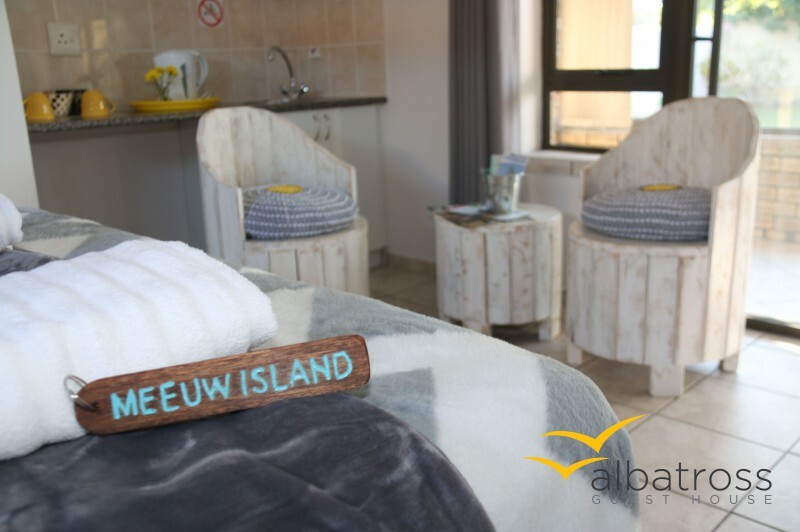 Guests can spend their days visiting the many beaches, nature reserves or entertainment spots on offer. 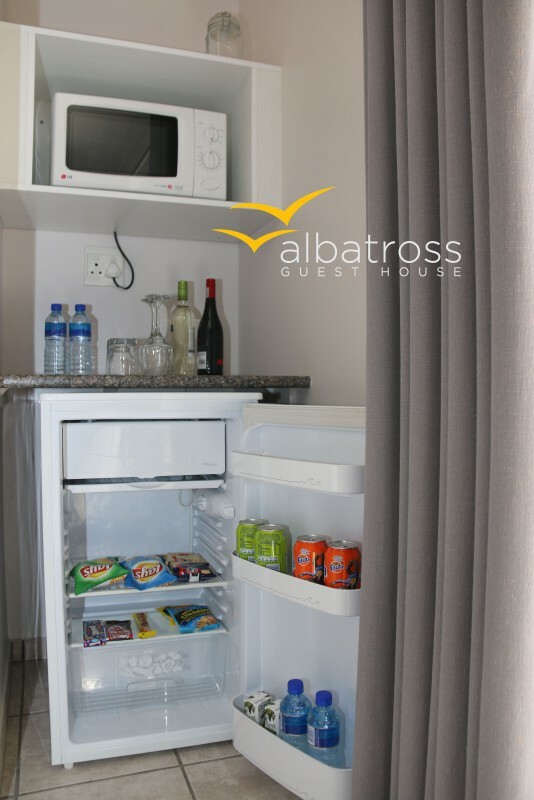 Albatross offers 4 non smoking double rooms with private entrances, each with a small kitchenette for guests who wish to keep, and prepare personal meals. Breakfast is served in the main house where the morning papers and news are available for those guests who wish to remain in touch with world events. Wheather permits we enjoy breakfast in the garden. We can also pack your lunch box, and will make a reservation at a restaurant of your choice for dinner. 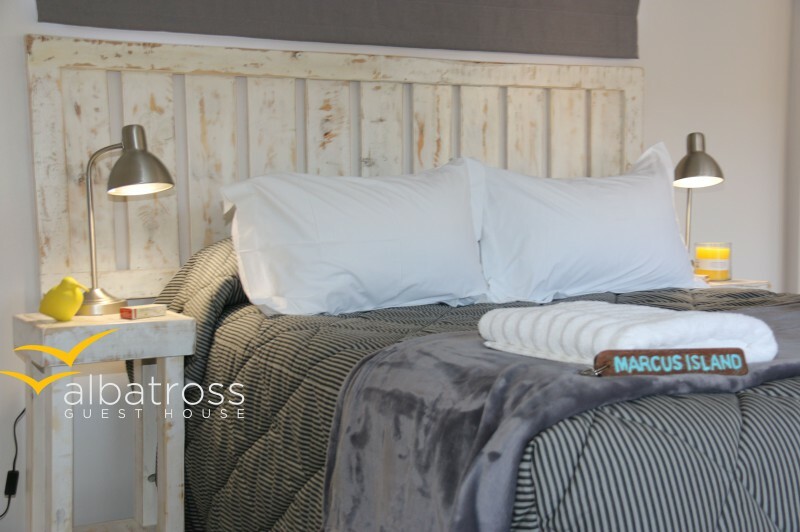 If you do not feel like stepping out for dinner one of our well known West Coast chefs will prepare serious soul food to indulge in in the comfort of the house. 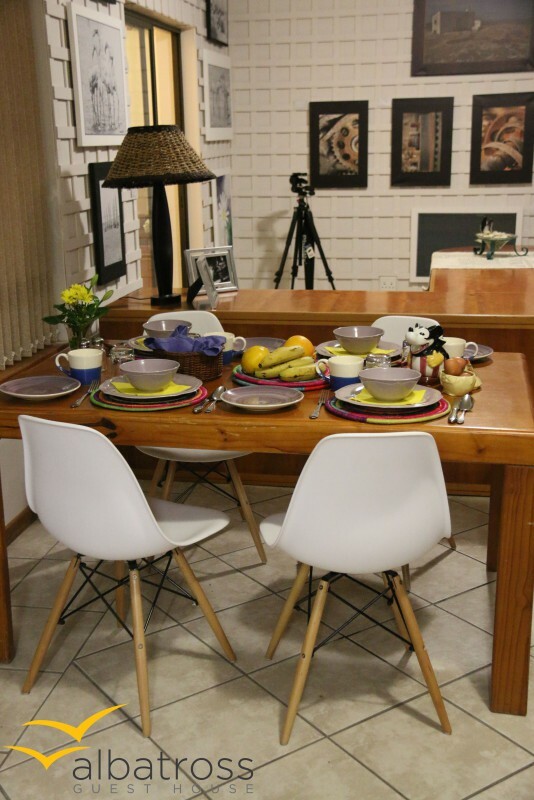 We also offer braai facilities in a relaxing garden setting for the visiting braai masters. 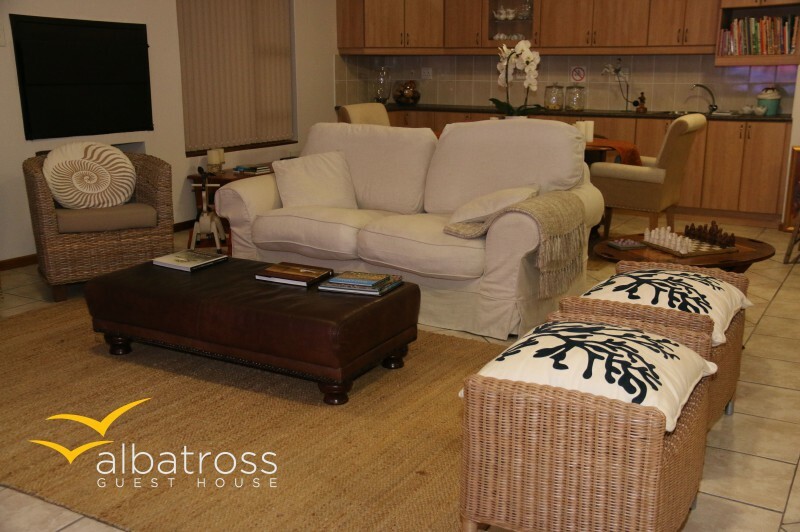 For those who wish to further stay in touch DSTV and Wifi access are available in all rooms. Laundry services, and airport transfers, will be arranged on request. 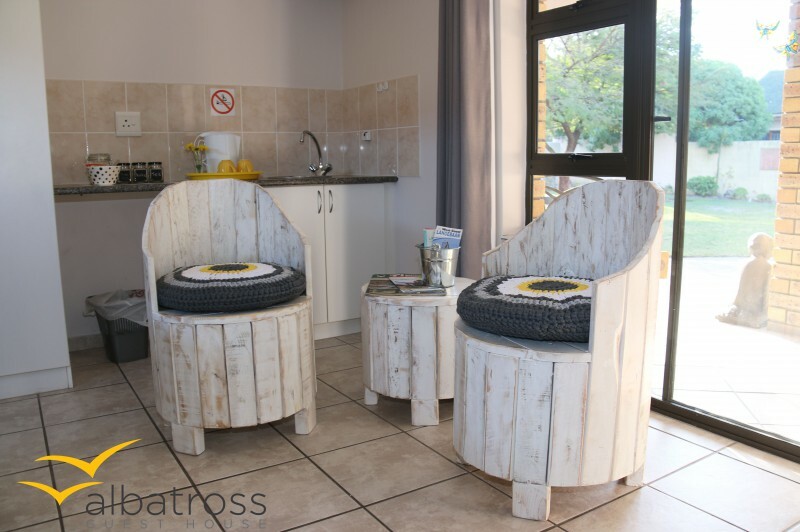 Our smoking guests are accommodated on the veranda and in the garden where they can relax and enjoy the outside peace and quiet. 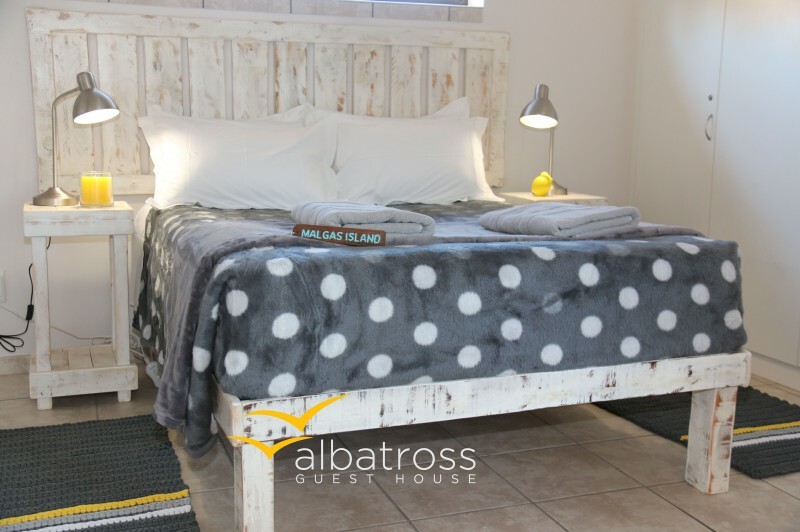 Unfortunately Albatross is not wheel chair friendly at this stage but have already initiated upgrading to also welcome guests with wheel chair requirements in future.